Building quality starts with the right details and temporary restrooms are a necessary part of any project plan. Whether residential or commercial, having clean facilities in adequate numbers saves time and labor costs and enhances health and environmental factors. With over 60 years of experience in the construction industry, Lacombe Toilet Rentals™ knows temporary restrooms. In addition, we’ve adapted to the ever changing needs of our customer base and now provide a range of equipment and services that is unavailable through any other supplier in the marketplace. A huge inventory of equipment, the addition of wastewater pumping, regional coverage for all of your sites as well as a dedicated account manager means you get more of what you need to get your job done. Commercial building includes new construction, additions, alterations, remodeling and repair of industrial buildings, warehouses, highways, bridges, high rises or other heavy construction. If you are engaged in commercial building, you may need specialty products and services as well as standard temporary restrooms. Lacombe Toilet Rentals™ is able to provide a variety of specialty equipment for these types of firms. The Hi-Rise is a special highly portable unit that goes where the work is. Remote field offices can realize the added benefit of water facilities through our Porta-Water system of component based field office systems. Lacombe Toilet Rentals™ offers a full range of equipment that conforms to Ontario Ministry of Labour requirements and our knowledgeable staff can help you in guiding you in the right direction. contractor achieve their project goals. 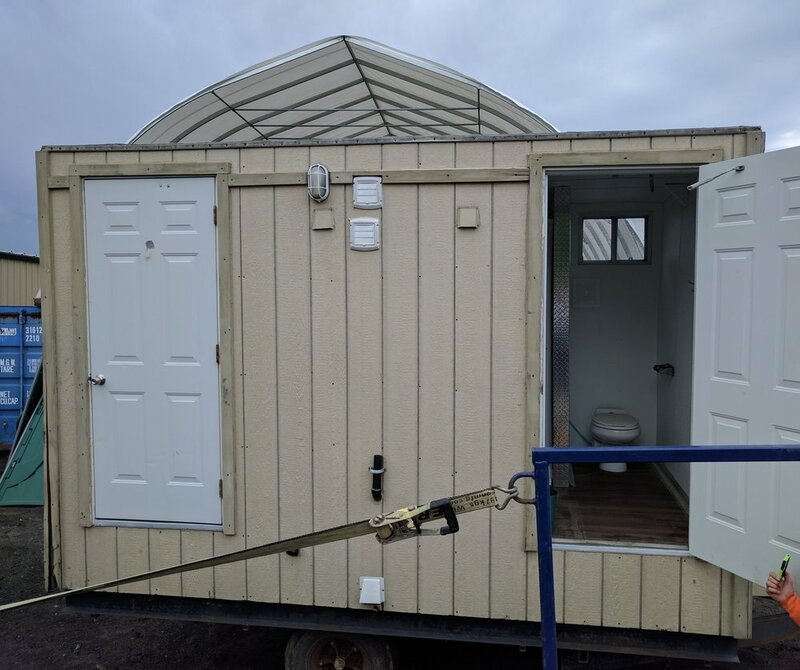 Lacombe Toilet Rentals™ offers a full range of equipment that conforms to Ontario Ministry of Labour requirements and our knowledgeable staff can help you in guiding you in the right direction.